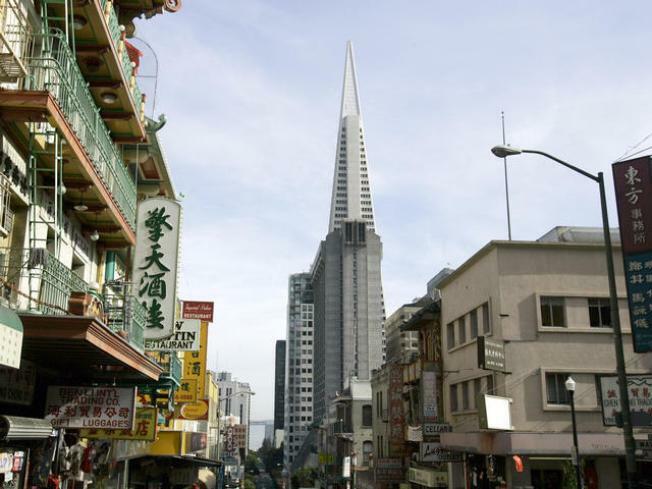 The Transamerica building towers over Chinese storefronts in San Francisco's Chinatown. Guided tours the City in one of those open-air red buses could become quieter if a San Francisco supervisor has his way. Board of Supervisors President David Chiu on Tuesday asked the city attorney to write new rules for those tour buses -- including one that would cut the volume of the amplified commentary. Chiu says the commentary on the loudspeakers is disturbing to residents who live along the tour routes. He also wants to crack down on tour buses that idle for long periods of time, blocking traffic along the curb. "While we all recognize the importance of tourism as a major economic engine for our city," Chiu said, "too many San Franciscans have had their quality of life impacted by tour buses." New York City recently adopted rules that will change the experience guided tours as well. Starting next summer, open-air tour buses in the Big Apple will not use loudspeakers, but instead offer headphones to riders for a guided tour. Chiu's proposal is still being developed, but would be similar to the one in New York City. Chiu represents several San Francisco neighborhoods most popular with tourists, including Fisherman's Wharf, Chinatown, North Beach and Union Square.